From Cancun Austin and I hopped the ferry to Isla Mujeres. 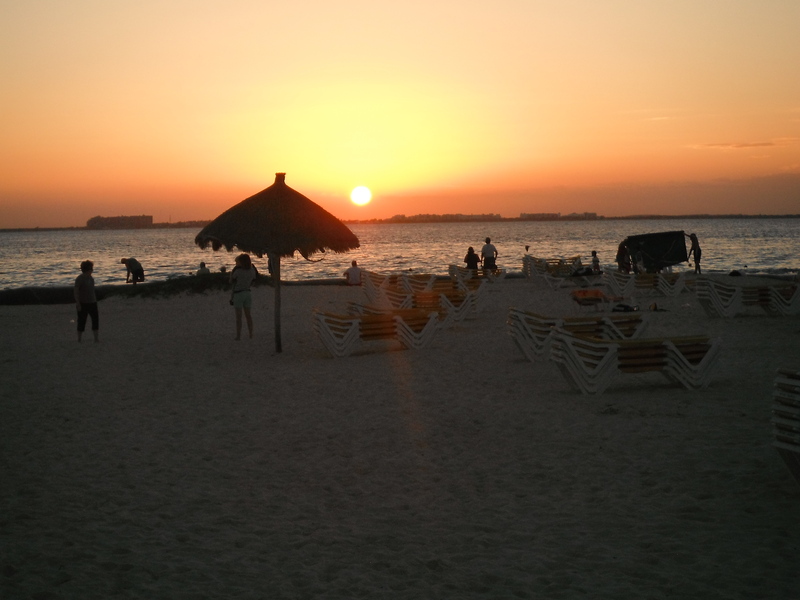 This Mexican Caribbean island quickly proved to be the perfect respite to Cancun’s noise and traffic. Exiting the ferry terminal, it was easy to see that people move slower here – literally, most of the traffic was made up of scooters and golf carts. Packs on our back, we made our way across town to the hostel recommended in our guidebook only to discover it was full. No problem, we thought, we had passed lots of places on the way advertising rooms, we’d find someplace fast. An hour later we were still walking in the now sweltering heat, entering hotel after hotel only to be directed towards a no vacancy sign. Finally we gave in and agreed to pay almost US$80 for a room across the street from the beach. Hey, it was 90+ degrees outside and we were carrying heavy packs and sweating through our shirts – could you really blame us? After cooling off in the pool, we headed across the street to enjoy some fish tacos and take in the beach. 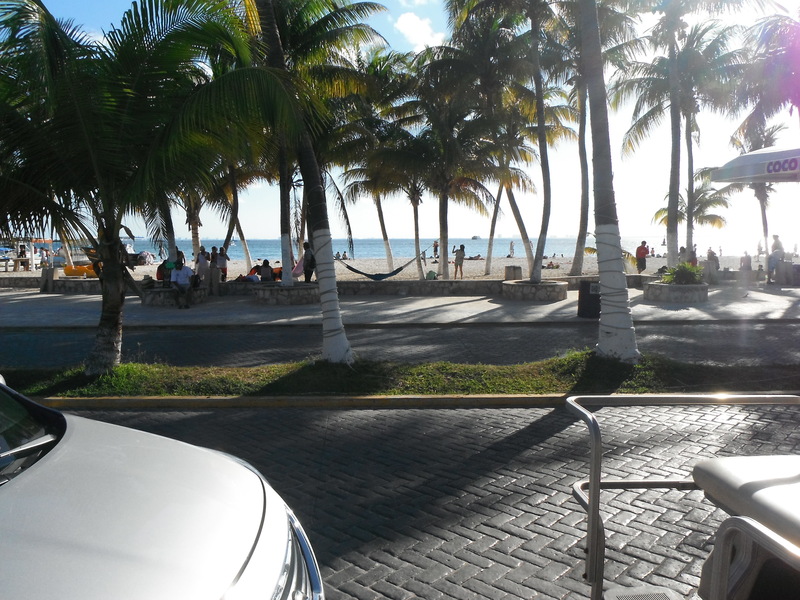 The beach on Isla Mujeres is very similar to the Caribbean beaches of the DR – calm, warm, clear, and beautiful. Later we watched the sunset over margaritas on that same gorgeous beach. From our sandy spot we could see the high-rises of Cancun, and I felt thankful to be parted from that hectic place by the calm blue water. 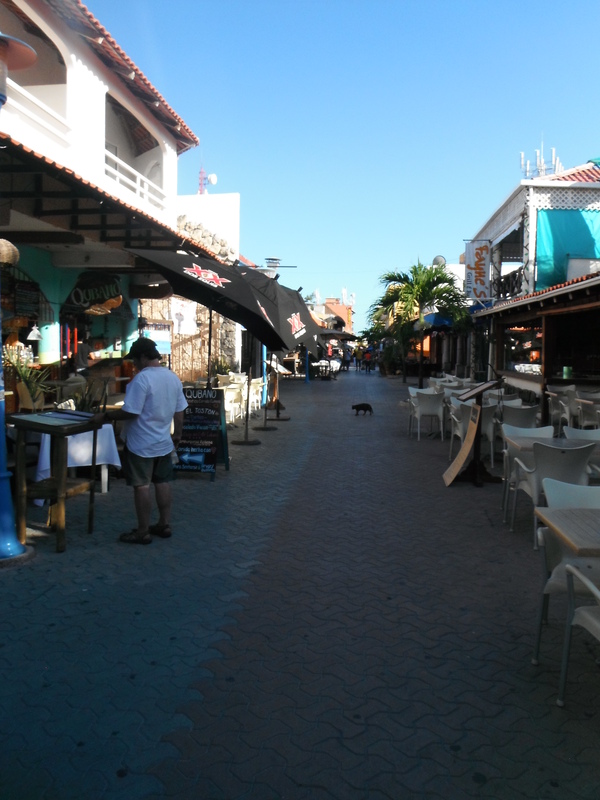 Isla Mujeres was a perfect transition into Mexican life. Slow enough to feel still after a frantic day of travel, but still fast and varied enough to entertain – the island was authentic enough to get a handle on my Spanish with just the right amount of tourists so that I wouldn’t have to entirely depend on my unpracticed knowledge of this language just yet. 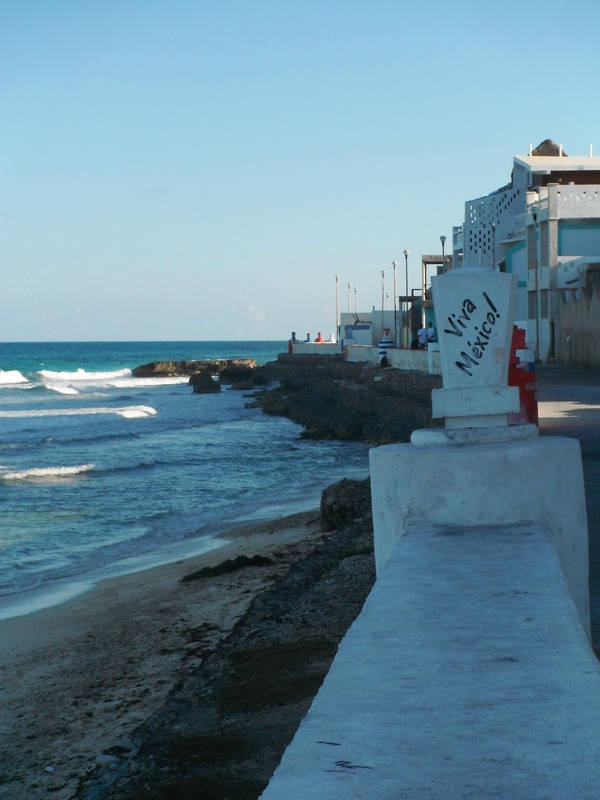 One lazy day and one night on Isla Mujeres left us rejuvenated, and ready for a challenge. But our empty wallets meant one day and one night was all we would get. Lesson learned: next time we travel to Isla Mujeres, we’ll make a reservation.